Do we process your personal data outside Europe? What rights do you have with regard to the processing of your personal data? For the purposes of a job application: to assess the suitability of the applicant for a position within Ordina. For the purposes of an employment contract: to configure and administer the employee and payroll records, pension, mobility, absence and facilities. For the purposes of personal development: training, assessment and career counselling. For the purposes of contacts with business connections: to make transparent and maintain contact with (potential) clients. For the purposes of contracts with clients: the preparation, formation, execution and termination of contracts with clients for the deployment of employees and self-employed persons/paid employees deployed through Ordina. For the purposes of contracts with suppliers/business partners: the preparation, formation, execution and termination of contracts. For instance for the purposes of cooperation or the deployment of external candidates (self-employed persons or paid employees) at Ordina or through Ordina at its clients. For the purposes of communication: to make an offer regarding the provision of services and other activities of Ordina and/or to provide and exchange information about these services and other activities. 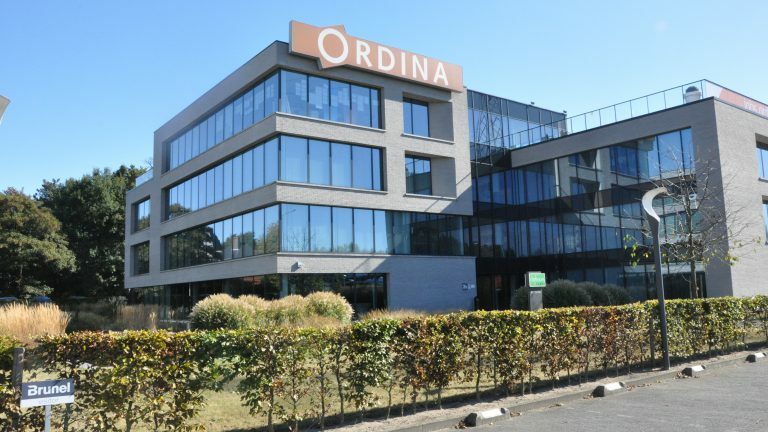 For the purposes of the protection of Ordina: the registration of those present (paid employees, self-employed persons, employees of suppliers and visitors). For the performance of work at clients, Ordina also processes personal data as ‘processor’: in that case, Ordina processes the personal data in accordance with the purposes specified by the client. Ordina collects, processes and administers personal data of job applicants, employees and former employees, self-employed persons/paid employees deployed through Ordina and (potential) business connections. Business contracts are for example: clients, suppliers and subcontractors that provide services or execute assignments (processors) for or on behalf of Ordina and government agencies. The data that we collect depends on your relationship with Ordina or from the service within Ordina that you use. When Ordina acts as processor: personal data that are processed for the execution of work (projects and/or management) at clients as described in the contracts with the clients. In a number of cases, Ordina will supply your personal data (where necessary) to business connections. We only share your personal data with these third parties in accordance with the purposes you have been informed about. Furthermore, we may share your personal data with the government, law enforcement agencies and/or supervisory bodies if required by law. We treat personal data confidentially and with the greatest possible care. Ordina protects its systems – within reason – against the loss and/or any form of unlawful use or processing. It uses appropriate technical and organisational measures, taking into account the state of the art. Your data are properly secured in accordance with the applicable privacy laws and regulations. For more information, please refer to our Information Security Policy. In some cases, we may transfer your personal data to third countries or organisations outside Europe. In that case, Ordina will ensure that proper measures are taken to guarantee a suitable protection level. The retention periods that we use for your data depend on your relationship with Ordina. No longer than 3 months after the rejection (without permission). No longer than 5 years after the rejection (with permission). The personnel file including application file will be kept for no longer than 7 years after termination of the employment. The personal data that are processed for business relationship management purposes will be kept as long as the relationship exists and/or as required by law. The personal data that are processed for the execution of work (projects and/or management) at clients will be kept in accordance with the agreements made with the client. No longer than 6 months after the right of access has expired. If you have questions about what data are collected about you and for what purpose, Ordina is always willing to provide you with information on this. You have the right of access to the personal data that we process about you and to have them corrected or removed; you also have the right to restrict the processing as well as to object to the processing and the right to data portability. Furthermore, you are entitled to withdraw the permission that you gave. If you have one of the requests mentioned above, you may submit it in writing to privacy@ordina.be by means of the attached form. Finally, you are entitled to submit a compliant to the supervisory authority. Ordina uses analytical cookies to compile visitor statistics, such as the number of visitors and the duration of the visits. This provides us with a better understanding of the functioning of the website. The statistics that we gather cannot be traced back to individual persons. We use Google Analytics to gain an insight based on the data gathered. We always place the analytical cookies when you visit our website. These are cookies that can monitor internet user behaviour. This way, based on your internet behaviour, we and advertisers can show personalised online advertisements and customized content. We ask your permission to place these cookies.